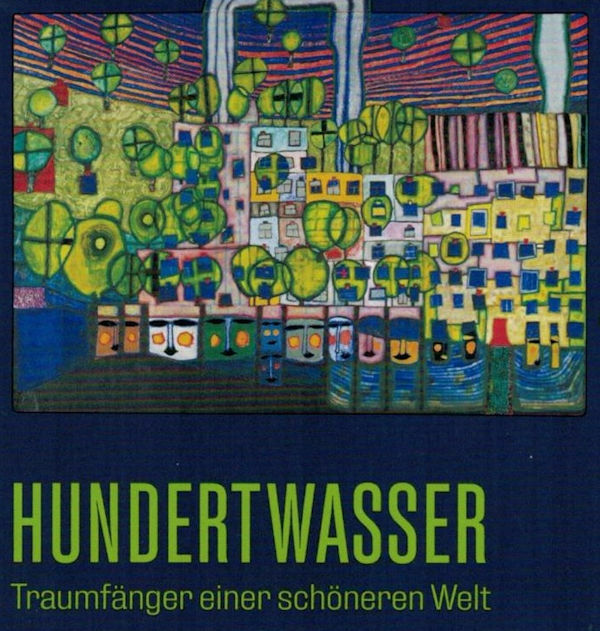 "Wasser hat ein Gedächtnis und ist in der Lage, zu kommunizieren. 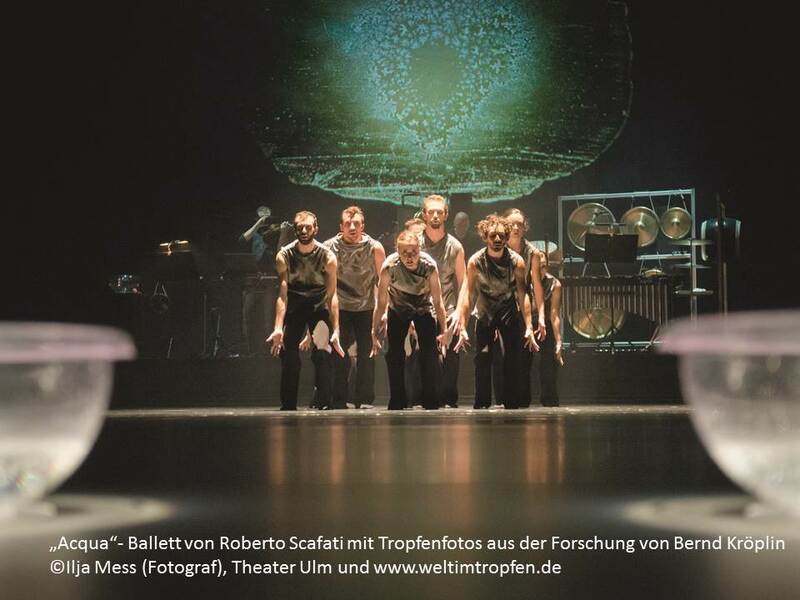 (...) Diese Forschungsarbeiten (von Herrn Prof. Kröplin und Team) und ihre Ergebnisse inspirierten Roberto Scafati für seine neue Choreografie ACQUA. 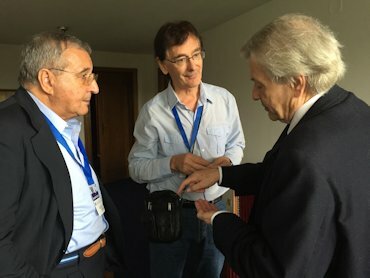 Aber nicht nur die quasi sprechenden Muster der kristallinen Wasserstrukturen (die auch als bildlicher Hintergrund der Inszenierung dienen), sondern besonders die fast magische Kommunikation und Interaktion zwischen Wassertropfen weitete Scafati für seine Choreografie zu einem begriffslosen Austausch zwischen Individuen und zu einem Spektrum der Analogien zwischen Form, Klang und Emotionen. 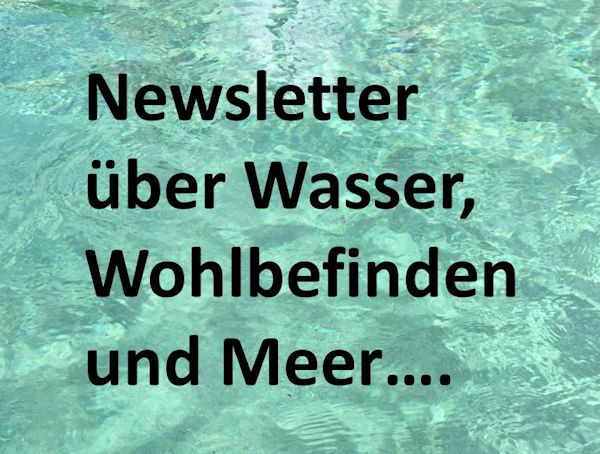 Die Energie des Wassers von molekularen Mustern bis hin zur ebenso reinigenden wie zerstörerischen Naturgewalt leitet die Figuren durch ihr Lebenselement: ACQUA. 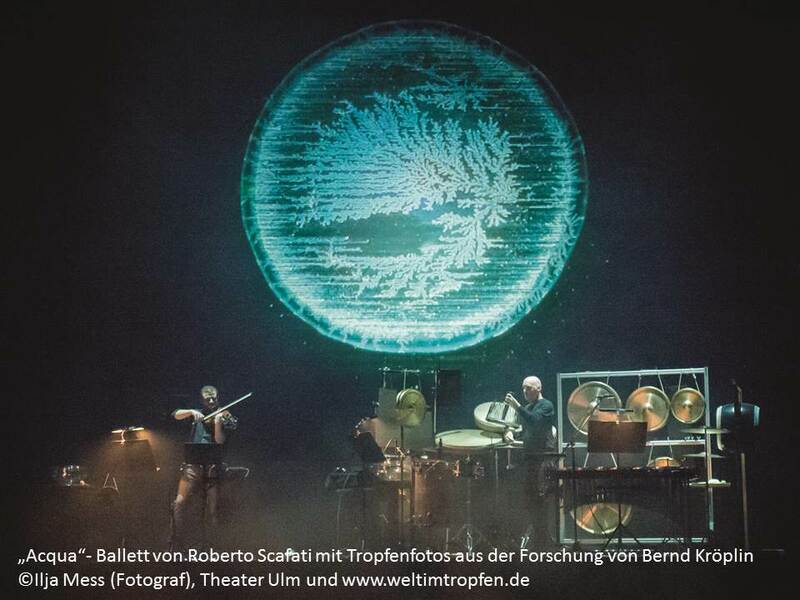 ", zitiert aus dem Programmheft zur Uraufführung am 23.11.2017, Großes Haus, Theater Ulm. 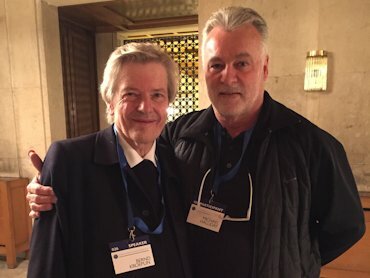 Cinema - movie: Our thoughts become things! Thoughts are things! In our water research “world in a drop”, we have often observed this exciting topic of mental forces in the structures of water. Emotions such as love and stress, but also certain targeted thoughts can be observed in a structural change in the water droplets. 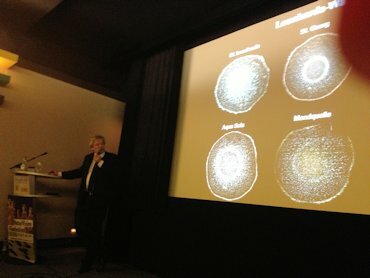 Our clear before- and after shots under the dark field microscope document this. We started by photographing the effect of external forces on the water. First with the external effects of plants or stones on water. 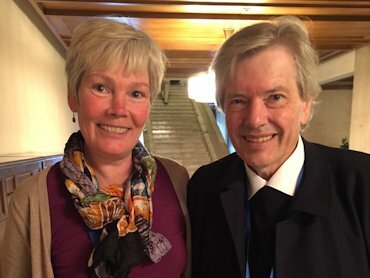 Then we investigated the effects of various radiations (mobile radio, X-rays) or electromagnetic influences caused by electro smog such as electricity lines or magnetic effects on water, but also on human “body water” (saliva, blood, urine). 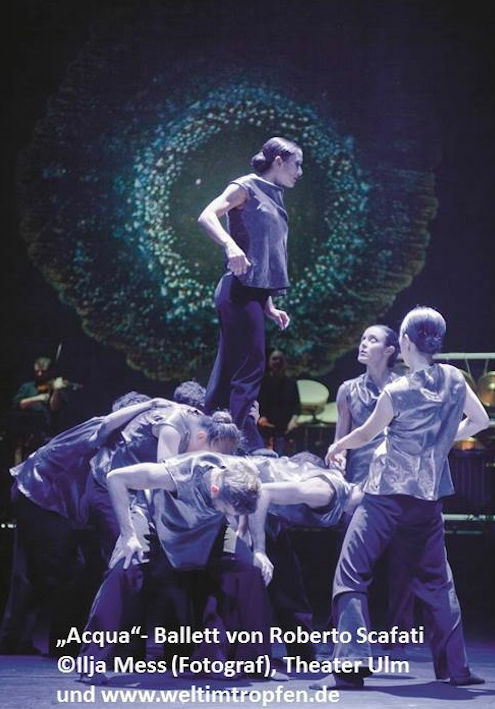 Different music pieces with their vibrations have e. g. a lot of different effects on the structure of human blood drops. 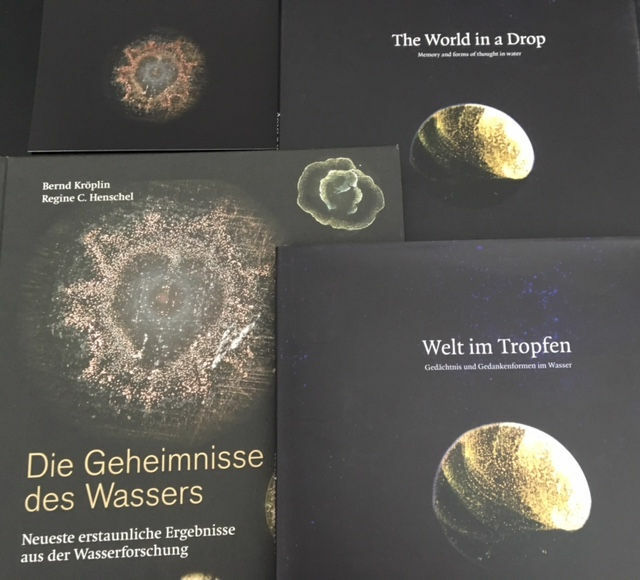 We present all of this in our water exhibition “World in a drop” - and in extracts using our exhibition pictures in a current, international cinema film. 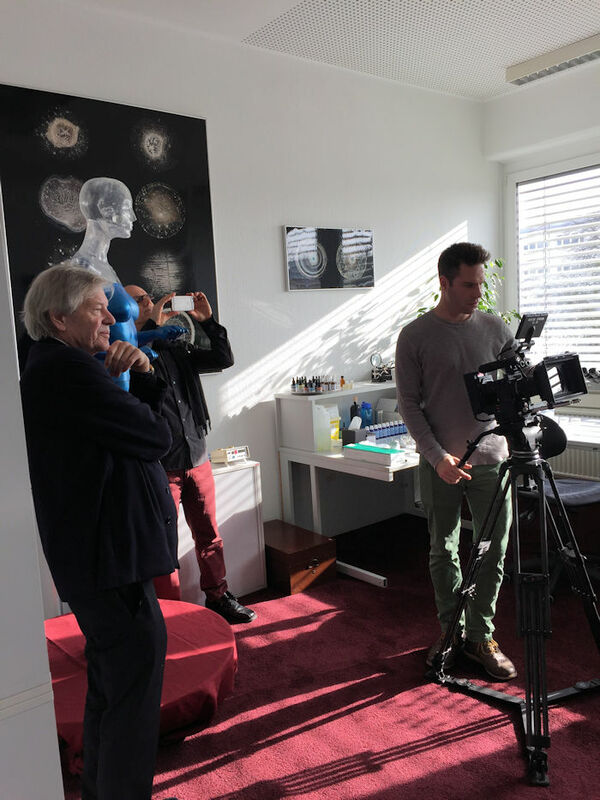 The extent to which our own thoughts really affect us and our bodies is always remarkable - and this was the subject of the shooting of an American film team that came to our water laboratory in Germany exclusively for us. 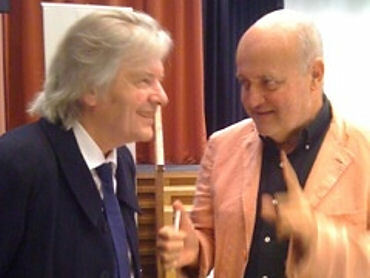 And we were happy to provide an exciting insight into our water-thoughts-mind and matter research. From 14.10.2017, the cinema film will be shown worldwide. More infos coming soon on these web pages. 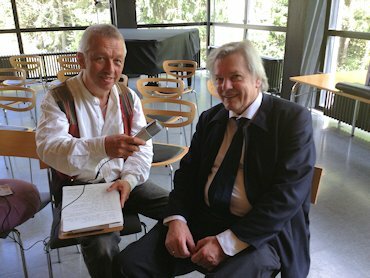 Interview preparation with Prof. Dr. Bernd Kröplin about thought forces and thoughts are things. Director Scott Cervine keeps track of everything. 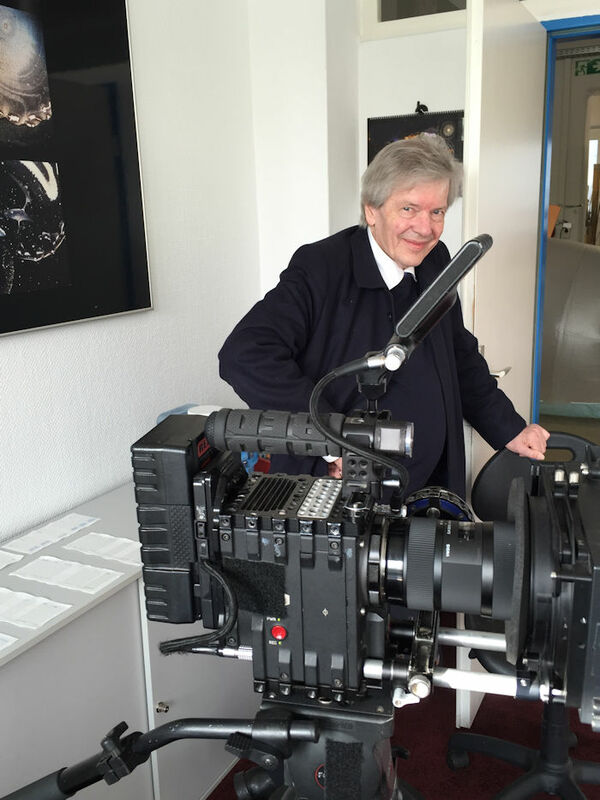 Prof. Dr. Bernd Kröplin gives an exciting insight into the connection between mind and matter – and opens his water laboratory for the filmmakers. 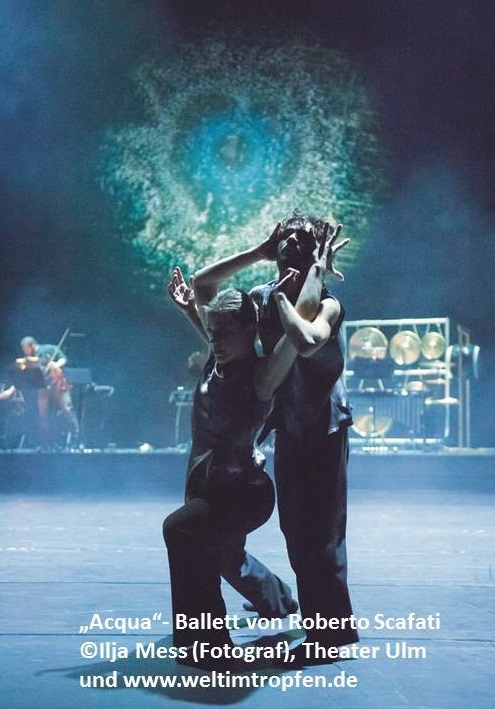 What do emotions look like? 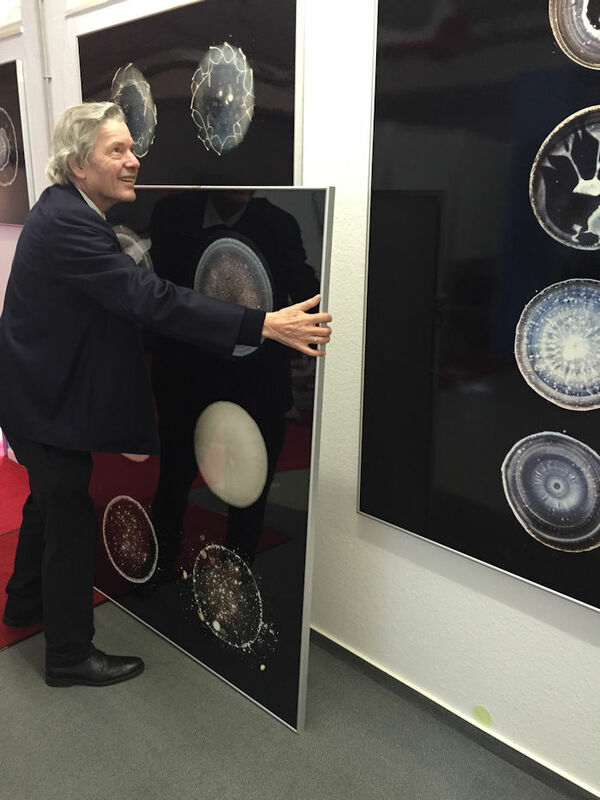 The cameraman is filming the photos of the enlarged drop structures of our exhibition posters “world in a drop”. 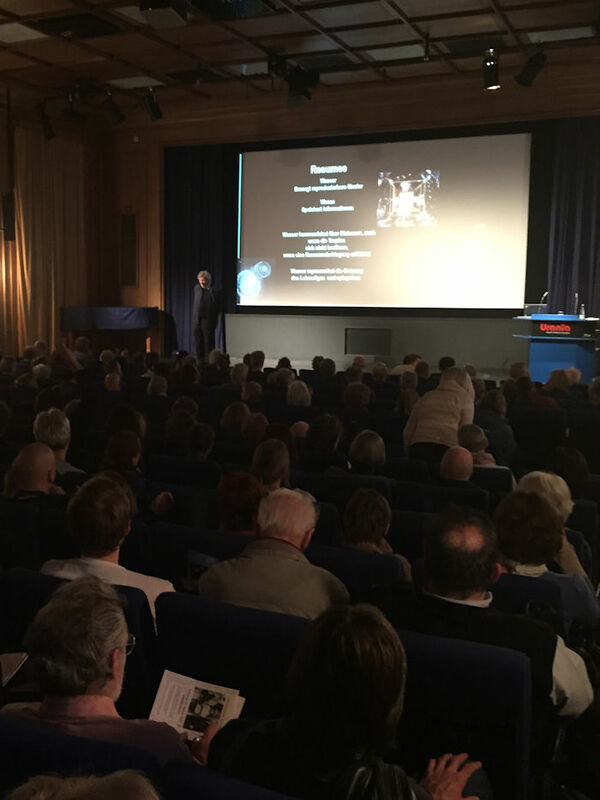 "Full House" in the famous Urania Berlin - who expected such an adventure? 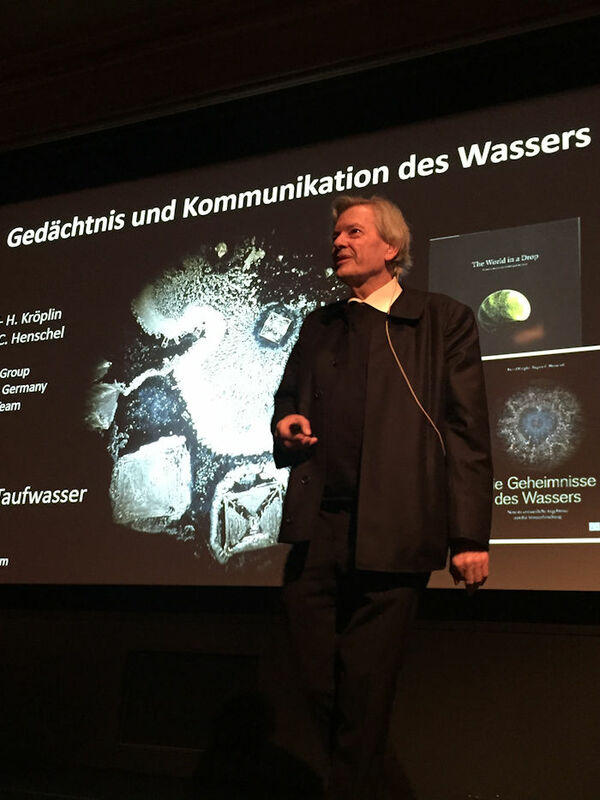 So much wonderful people had been interested in our water theme, our research and the lecture about "The seven secrets of water": the lecture room was sold out! The new books also. What a wonderful and inspriring event, thank you very much for your support, you great team from the Urania in Berlin and thank you all little Santas helpers at the 6th of December! 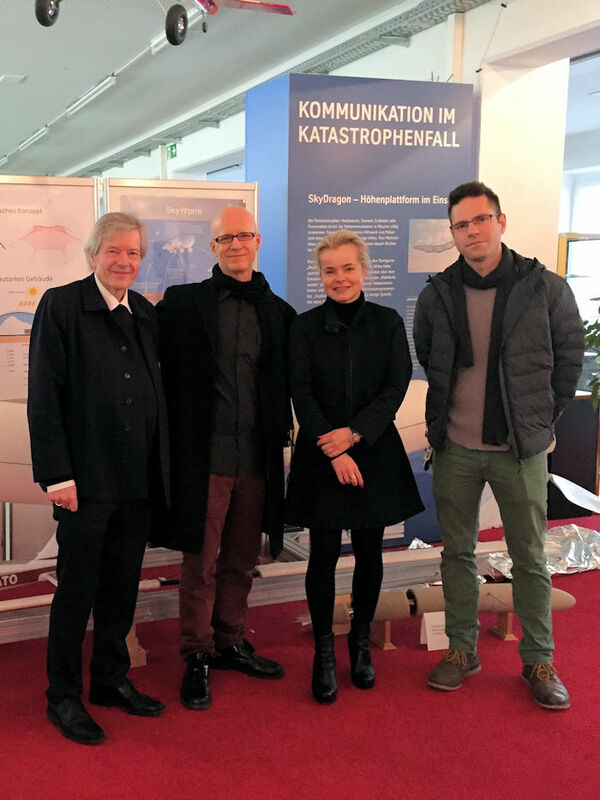 For all friends of our water research we have some photos from our grown, optimized, re-newed and exciting water exhibition 2016 in Berlin! I love it, we love you! 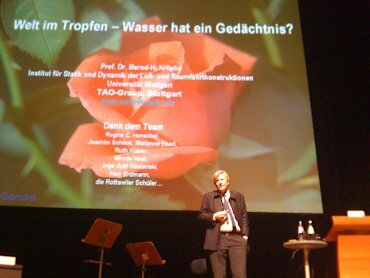 "Full House" for the lecture about the water by Prof. Dr. Bernd Kröplin at the 6th of December 2016.
Who has an eye for it...... recognizes the secrets of the water. 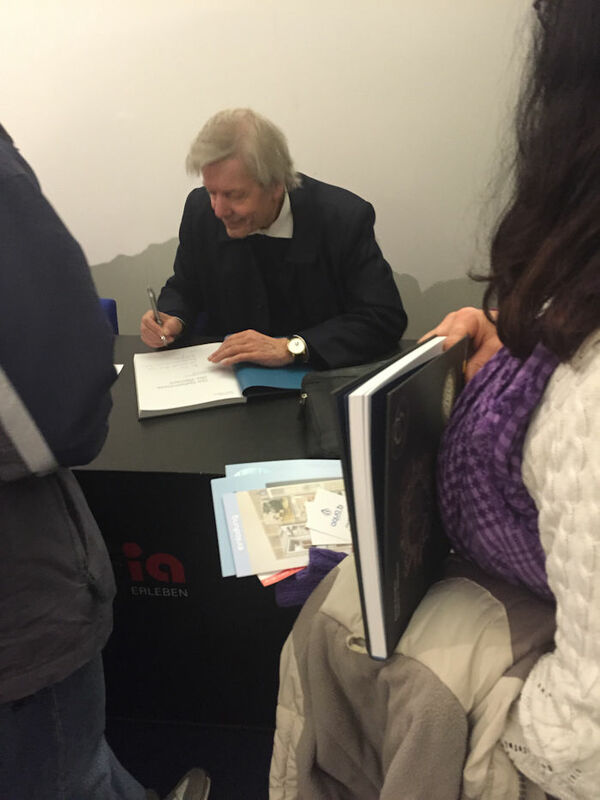 For the study at home - a signed water book. 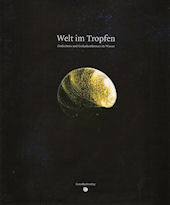 And that´s the book - after 2 months we publish the second edition: thank you so much! 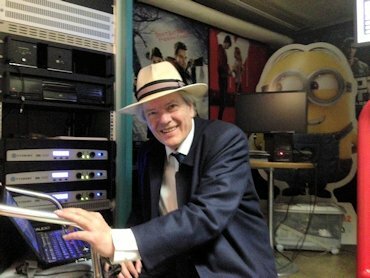 ... got accompanied by a new, light, worldwide to ship and valuable display version in 2016. 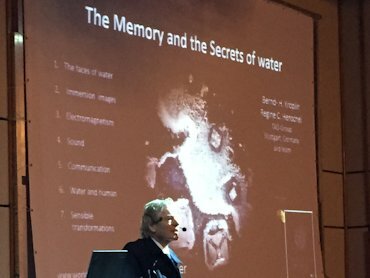 "The memory and secrets of water" - this is the title of the lecture of Prof. Dr. Bernd Kröplin, who presented the "7 secrets of water" of his "world in a drop research" the first time. 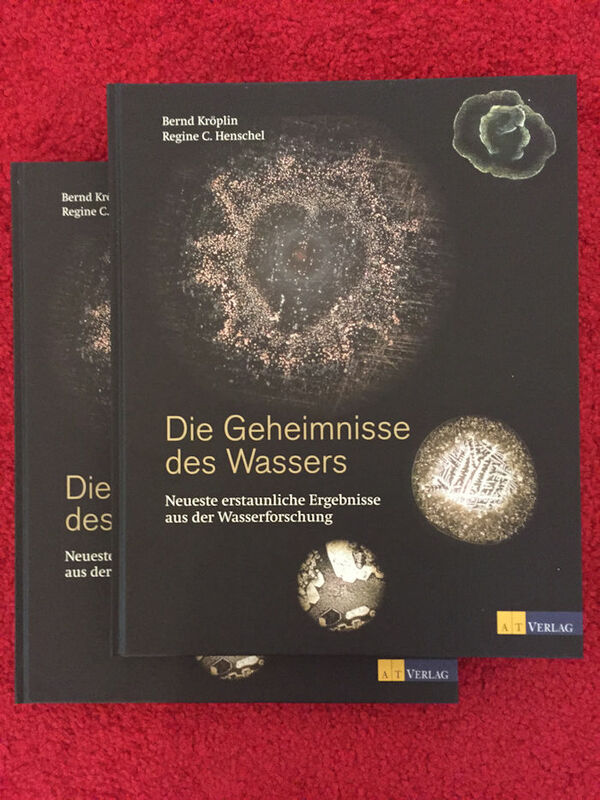 These research results have been made in 15 years of intensive water research by him and his team and has been documented in the new book "The secrets of water" (available in German, englisch edition coming in winter 2016). 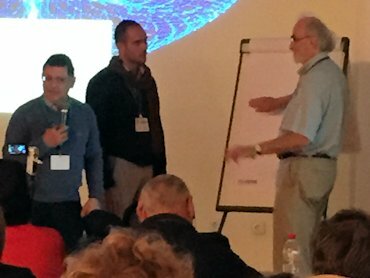 Interested water experts from all over the world discussed these results the first time - and it was a phantastic, greatful and interesting-fruitful discussion. 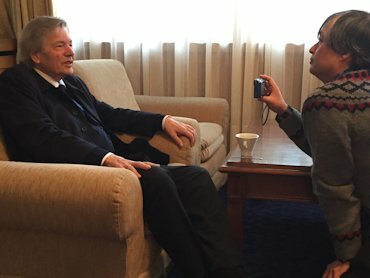 We brought some impressions from the conference in Sofia with us for you. Prof. Dr. Gerald Pollack with his lecture about "Water and weather: an intimate role of separated charge"
Cutting-edge water research & new ways of thinking: On invitation of Prof. Dr. Gerald Pollack, University of Washington, Prof. Dr. Bernd Helmut Kröplin gave a lecture about his newest research in the memory of water at the "Conference on the Physics, Chemistry and Biology of Water" 2015. 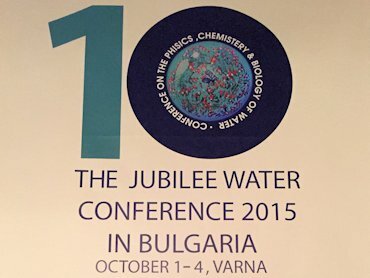 A jubilee: the 10th Internationale Waterconference about the physics, chemistry and biology of water. 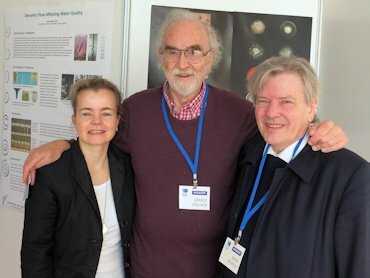 Happy together after the lecture of Prof. Dr. Bernd Kröplin about "The memory and communication of water": Regine C. Henschel, Prof. Dr. Gerald Pollack, Prof. Dr. Bernd Kröplin. 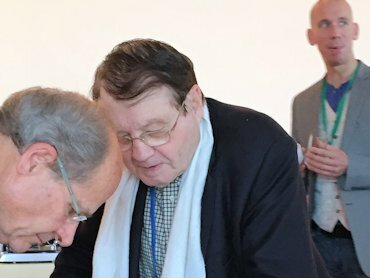 Nobel Laureate Luc Montagnier (right), Speaker at the conference. 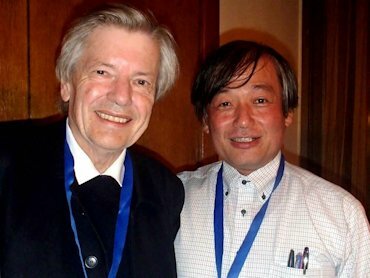 In 2009 Montagnier confirmed the possibility of transferring spectral characteristics of DNA into water. 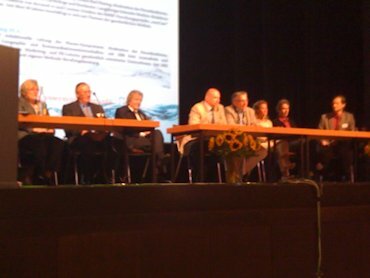 Prof. Dr. Kröplin presents new research results from his laboratory about the transferring of informations on water. 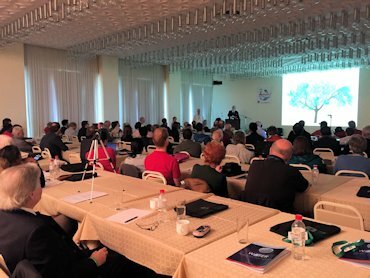 More than 150 participants at four days from all over the world, here listening to the lecture from Prof. Dr. Gerald Pollack: Does water make the world go round? 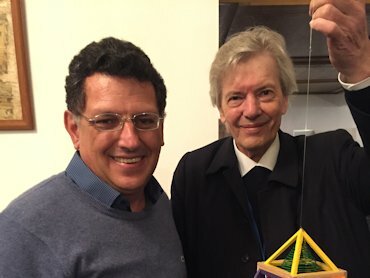 Excited and full of powerful ideas: Carlos Orozco explains his system for regeneration of the cells. 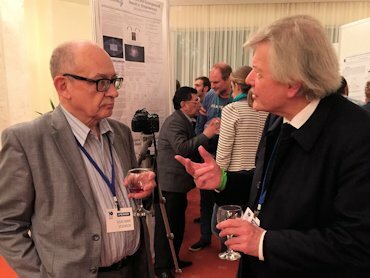 Dr. Vladmir Voeikov (left) talks about his theme of the lecture "Progressive evolution is the inherent property of aqueaous systems". 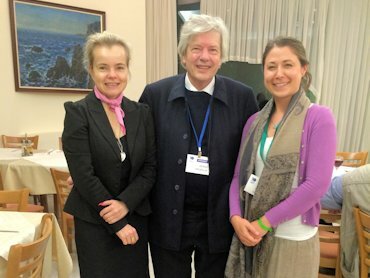 Time for good meetings: Veronica Divincova from Edingburgh (right). 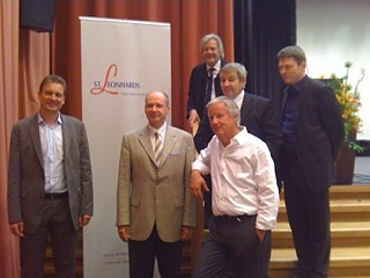 It was a joy for organizers and speakers: There was no seat left in the museum Löwenberg in Gengenbach! 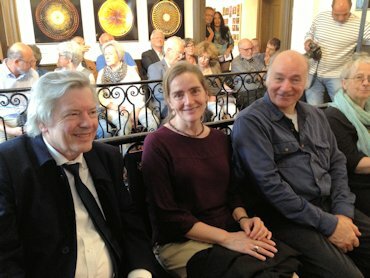 And who did not find a place on the additional folding chairs, still listened to the entertaining opening talk moderated by museum director Reinhard End. 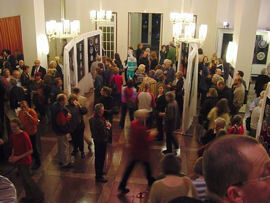 Because topic and atmosphere were great, everyone remained in the exhibition with in fine baden wines and homemade cake! 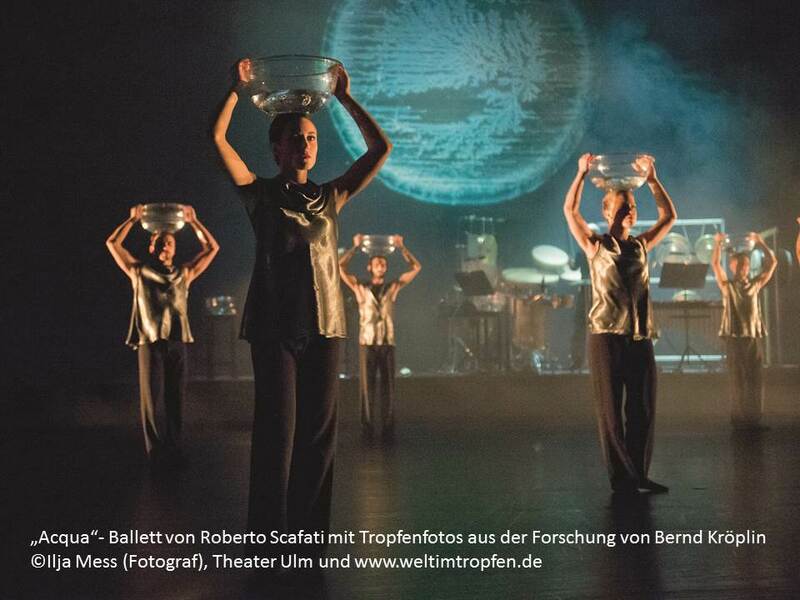 Until 02/11/2014: water moves! 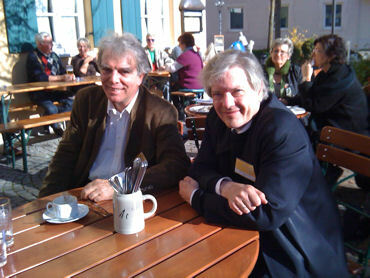 Prof. Bernd Kröplin (left) and Alexander Lauterwasser (right): the opening ceremony was a great success! 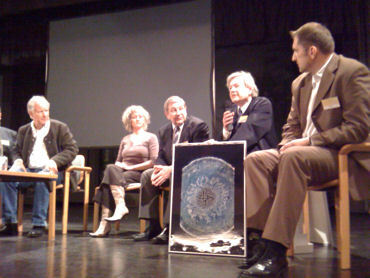 Museum director Reinhard End (center) moderated the speakers with exciting questions through an interesting opening round. 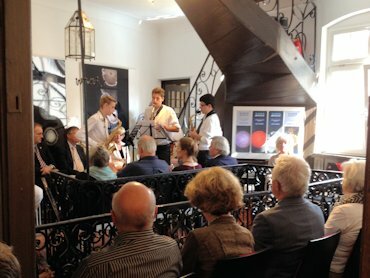 Music in the blood: the concert of the saxophone trio was broadcasted live in all showrooms. 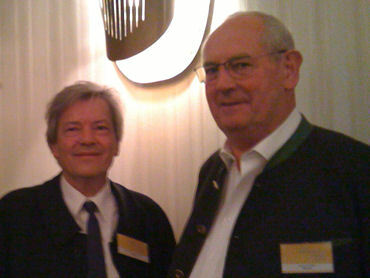 She had a leading role in the exhibition team: Bärbel End (right) in a talk within the exhibition. A very sunny sunday afternoon, 13.00 ó clock in the holiday season. 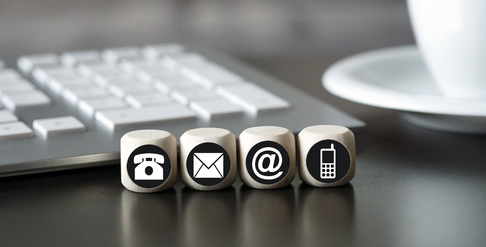 For every event planner a “no-go-date” one might think, because nothing goes. But far off! 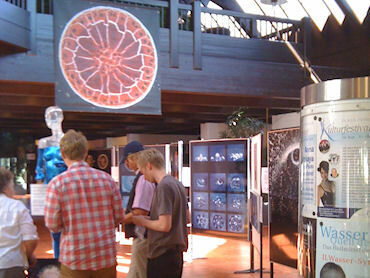 The insights into the world of water, which are possible under the microscope, fascinated the audience in the "Studio" of the Central theater. 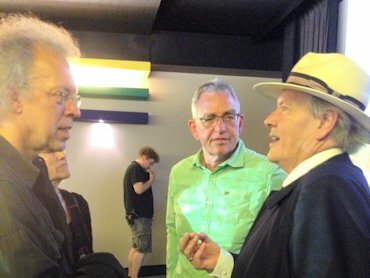 And for us the world of film was exciting: the first time the "world in a drop" hosted at a film festival and showed a section of the exhibition in the traditional format of movie posters. 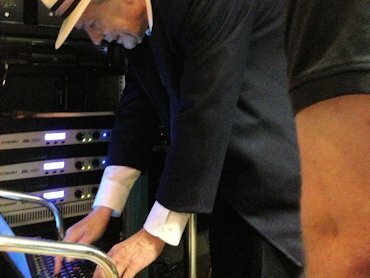 ...behind the scenes the laptop with the cinema technology is getting connected. Done! But laptop and speaker are separated! 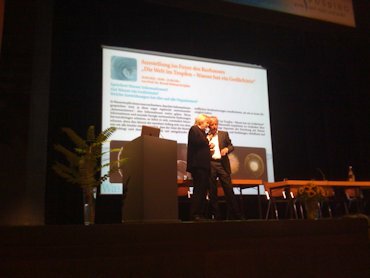 Festival Director Ralph Thoms introduces Prof. Kröplin and his lecture topic. 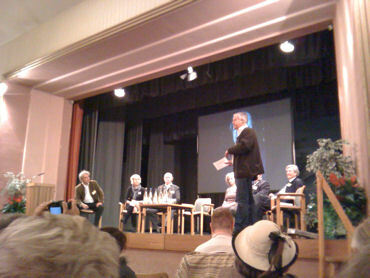 Filmmaker Christoph Hübner (movie: Emscher views) talking. 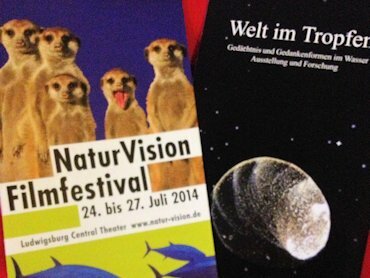 A dynamically-strong team: NatureVision Film Festival and the “World in a drop”. Does the individual effect the drop in the water? Have homeopathic essences effect on the structure of drops? 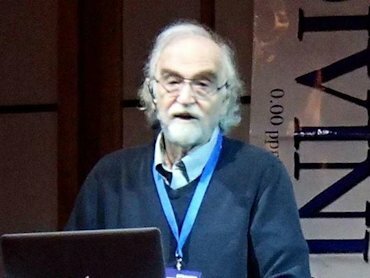 How do information and radiations effect on the water? 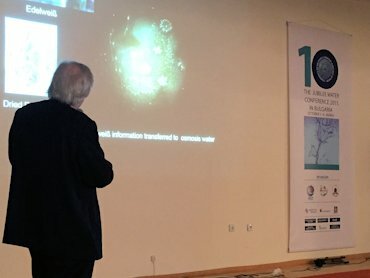 These were just some questions in the lecture "World in a drop - water as a storage and mirror" at the 4th seminar at the International Congress of the "Society for Biological Cancer Defense" (GfBK) e.V. 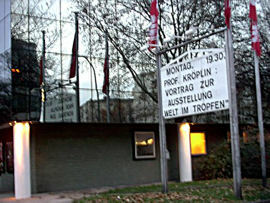 in Heidelberg. 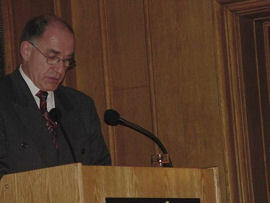 The stimulating and highly informative conference was organized by Dr. med. 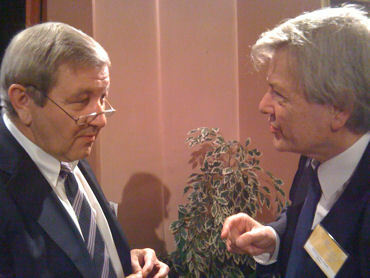 György Irmey (right in photo). Also interesting were the discussions on the occasion of WID lecture at the conference "Being in Consistence" by Via Mundi e.V. 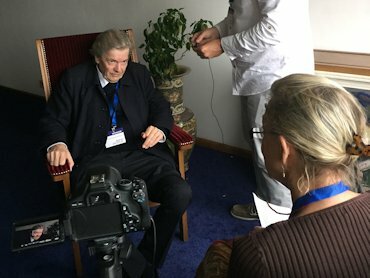 – at this place in an interview with journalist and author Dr. Geseko of Lüpke. 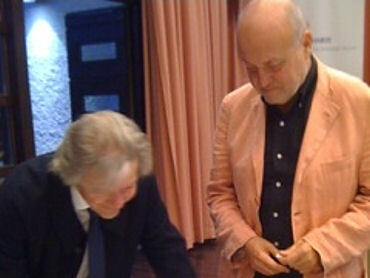 On the occasion of the 46. 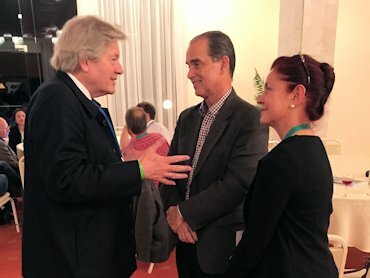 Medical Week in Baden-Baden - the focal-point-meeting “Water and Regulation”- Prof. Dr. Bernd Kröplin gave a lecture about the ability of water functioning as memory. 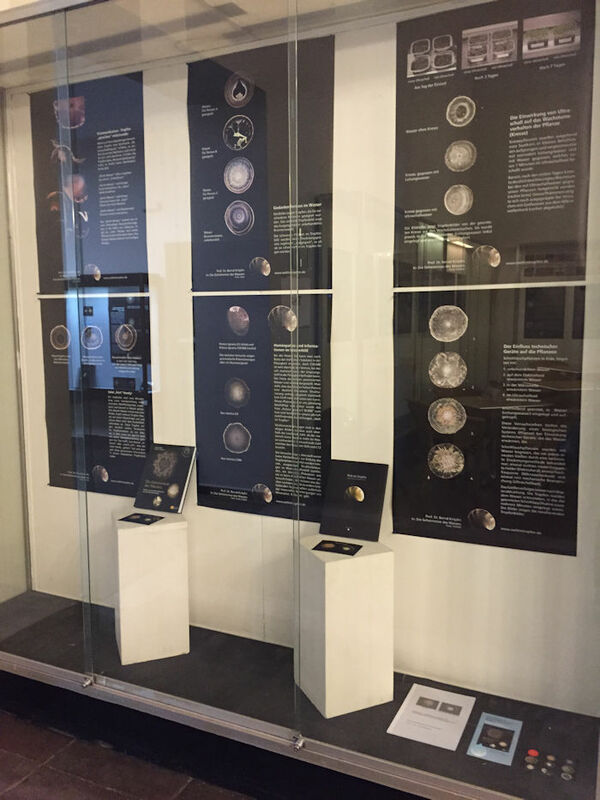 A view into the „World in a Drop“ will also be demonstrated at the 47. 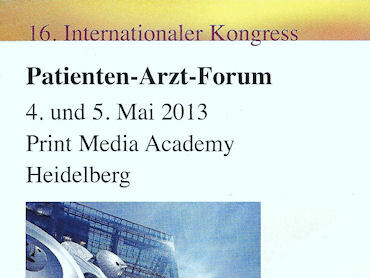 Medical Week in Baden-Baden. 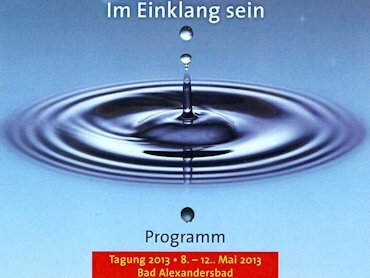 The successful Water Symposium in Bad Füssing will continue in July 27th and 28th 2013. The “1. 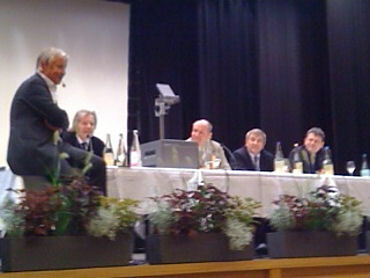 Water Symposium“ took place in Sept. 7, 2011 in the “kleinen Kurhaus” in Bad Füssing under the slogan „WaterLife – Water, elixir of the future”. Here, in the spa Bad Füssing, was the healing effect of water by inner and outer application in focus. 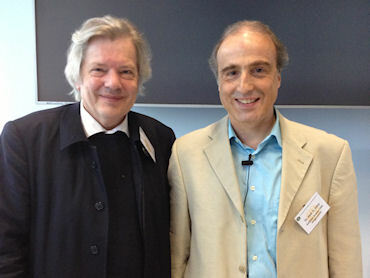 We thank for the inspiring interchange of ideas (here with the author Bernhard Ludwig) and the perfect organisation. 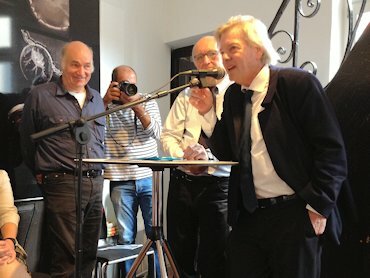 “What is life without the adventure of travelling, once again to become aquainted to other people, to make new experiences and then in the evening sitting somewhere together at a table telling something about life, to understand, to dance, and to celebrate”, writes Jürgen Fliege in his foreword of the meeting “Flieges Wörishofener Fall 2010” in Bad Wörishofen. 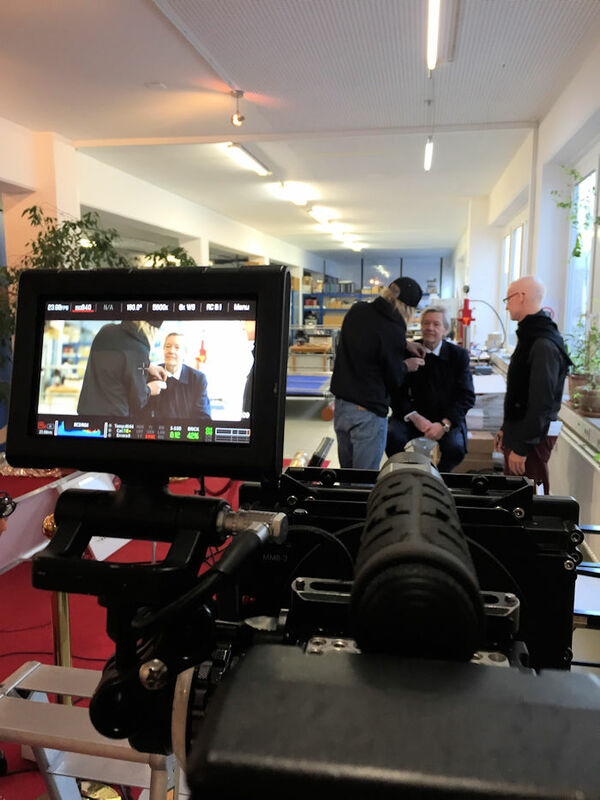 In this year the program focus’ on the spirit of Sebastian Kneipp and the healing aspect of water in lectures, seminars, talks, and face to face encounters with physicians, artists, theologians, scientists and the life “per se”. 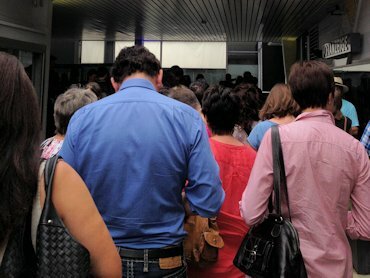 Here we have some photographic impressions for you. 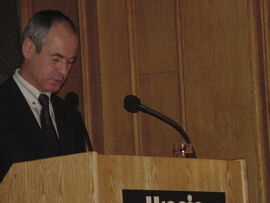 Substituting for many nice collective opening celebrations we show you here some impressions of the grand opening celebration at Nov. 24, 2004 at the Urania Berlin. Welcome! 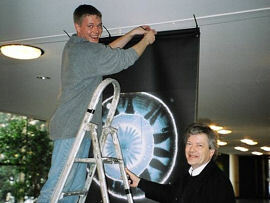 Bodo Leuthner and Prof. Kröplin (right) fixing the poster for the opening. 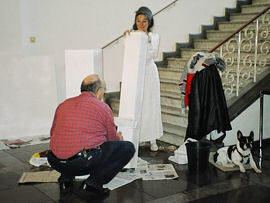 The steles for the performance of Rita Große-Ruyken (center) have to be colored in white. Dog Corto (right) has already white paws. This is very nice! 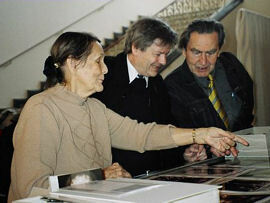 Artist Ruth Kübler, her husband, and Prof. Kröplin (center) select the best pictures among plenty of others for the vitrine. 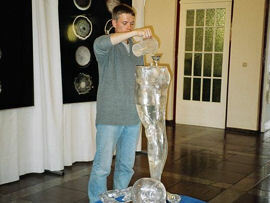 Like the human organism consists our „Blue Lady“ to 70 % out of water – however first she needs to be filled. 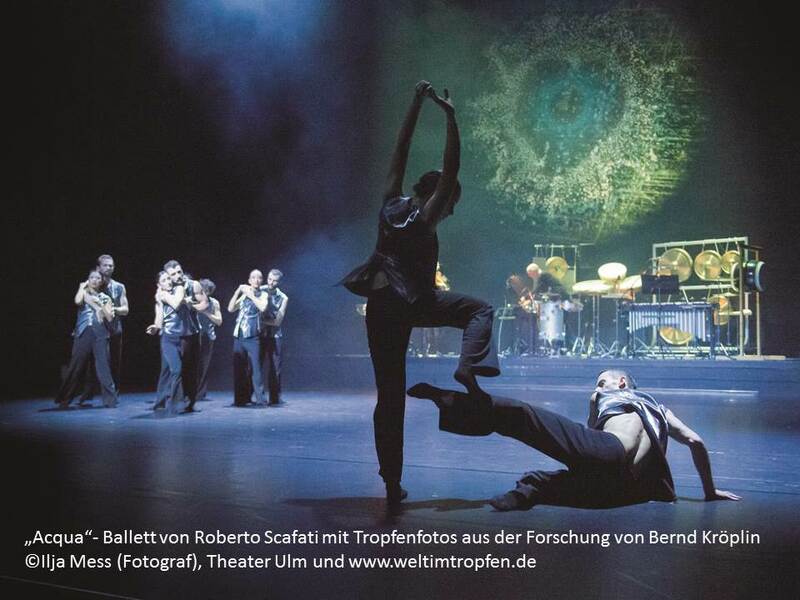 The countdown is progressing…Announcement of the lecture at the Urania in Berlin. Greetings and introduction by Dr. habil. 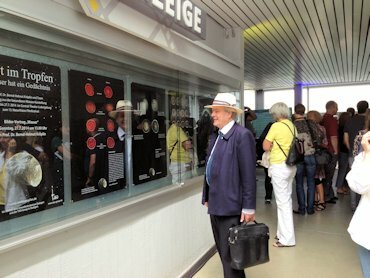 Ulrich Bleyer, Director of the Urania, Berlin. 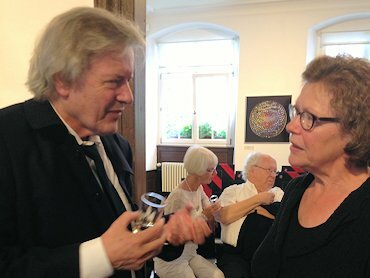 Patron of the exhibition Secretary Rudolf Köberle, MdL, Landesvertretung BaWü in Berlin, greets on the other hand the engagement of the University Stuttgart in Berlin. 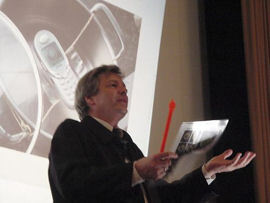 Ostensive and amazing: Prof. Dr.-Ing. 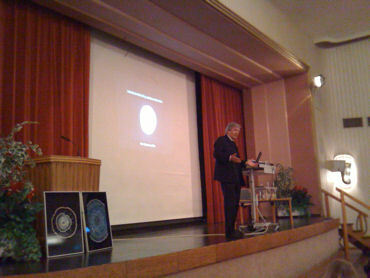 Bernd Kröplin and his opening lecture “Memory of Water”. 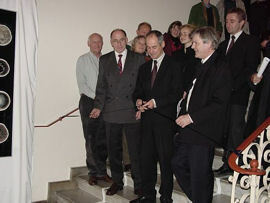 After weeks of preparation the grand opening: Secretary Rudolf Köberle (center) cuts the Blue Band for the vernissage. 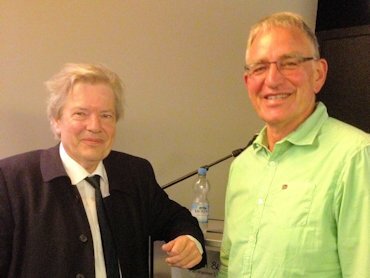 Dr. U. Bleyer and Prof. B. Kröplin are pleased. 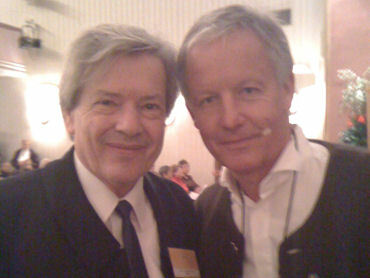 Content is also Ulrich Aierstock (right, above), personal referent of the secretary. 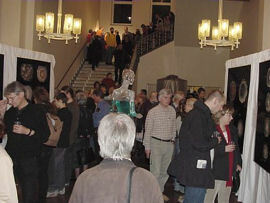 A full house – the historic foyer becomes vitalized. 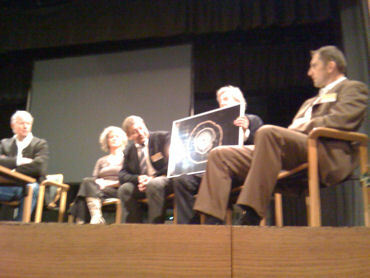 Many people - many questions: Minnie Hein (center right) answers them patiently. 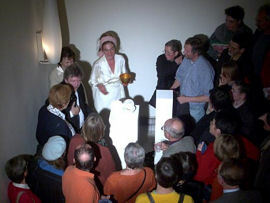 A picture like a painting from Brueghel the Elder: The artist Rita Große-Ruyken submit the “libation” in the thinest golden bowl of the world.